One day, Mr. Kyle Dickey, kitchen manager with Metz Culinary Management, came into my office with a surprising request. 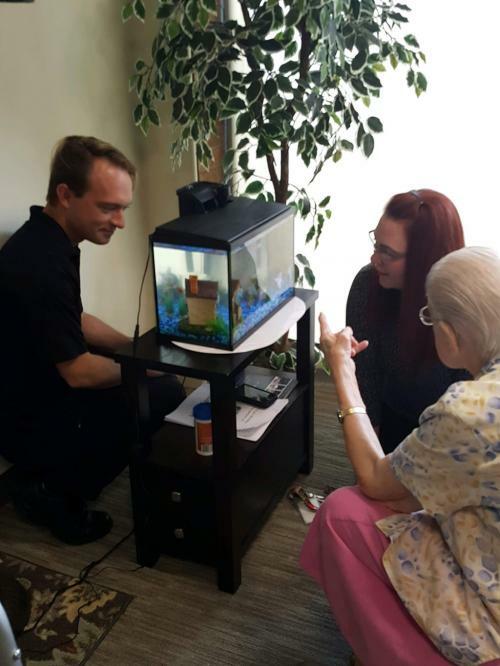 He said, “I really enjoy all the Sisters living with us here at The Manor, and I would like to get them something that would add more joy and happiness than they are already sharing as a group.” He wanted to get them a fish aquarium. After a short conversation, we agreed to let him make it a surprise. He spun on his heels, and back he went to the kitchen. Sr. Aquinas said to me, “I need to buy a fish, and I am going to name it Kyle.” She laughed so hard. She was determined to get her own special fish to name Kyle. About a half hour later, I took Sr. Aquinas out to buy one more fish. 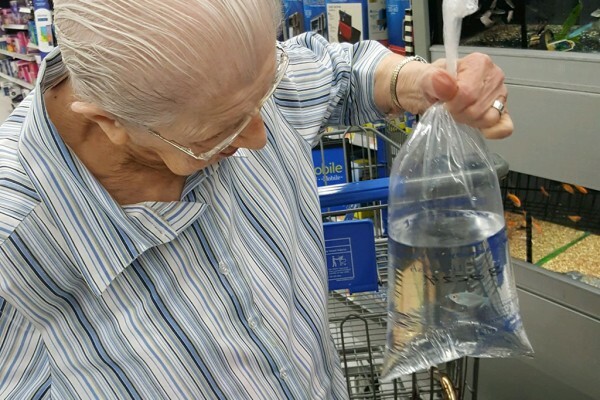 At the store, Sr. Aquinas looked around at all the fish before she decided which to buy. 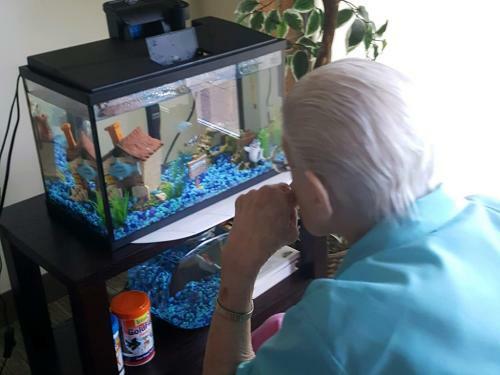 She insisted that she needed to talk to Kyle about the color of the fish that she chose. After she talked to Kyle and chose the fish, she kept saying, “This is my fish, Kyle.” Once we were back in the car and driving back to The Manor, she made sure that her “Kyle” was comfortable. We had so much fun shopping for this very important fish. *Sr. Aquinas celebrated her 85th year of religious life and her 101st birthday this year. The Community at Holy Family Manor serves families from infants through senior care.. "The Manor," as it is commonly known, offers childcare, a personal care facility and housing services to seniors and disabled persons.